Summer Learning Loss—sometimes called Summer Slide or Summer Melt—is a phenomenon that educators know all too well. 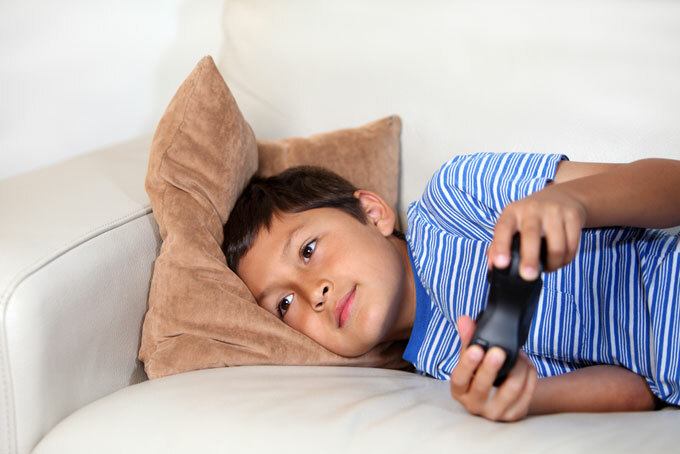 After spending the school year working hard and improving math and reading skills, an alarming number students go off on summer break and give up a big chunk of those gains. Not only losing forward momentum over the summer but actually going backwards is a huge problem, particularly because numerous studies have shown that this phenomenon disproportionately affects economically disadvantaged children and children of color. These students, who tend not to have access to summer camps and private tutoring, give up an average of 2-3 months in reading skills over the summer. Compounded over time, studies have shown that Summer Learning Loss explains two-thirds of the opportunity gap—the persistent difference between how the well-off perform in schools compared to their less fortunate peers. At BookNook, we believe in supporting great schools and great organizations with tools that are flexible, inexpensive, and quick to implement. This summer we ran pilots in the San Francisco Bay Area and Houston to see if we could quickly launch a program that would serve students effectively at a cost of under $300 per student on average. Working with two fantastic partners, Kid’s Club Marin and the Boys and Girls Club of Greater Houston, we were able to launch programs with less than six weeks of lead time that served 20-80 students per site at five locations. The data we saw in pre and post assessments were incredibly exciting, especially given that we saw results from students who spent as little as 5 hours using BookNook over the course of the summer. During a time when students usually move backwards in reading, 47% of BookNook students improved their skills and another 31% held their ground. That means that 4 out of 5 students didn’t experience any Summer Learning Loss at all while using BookNook. 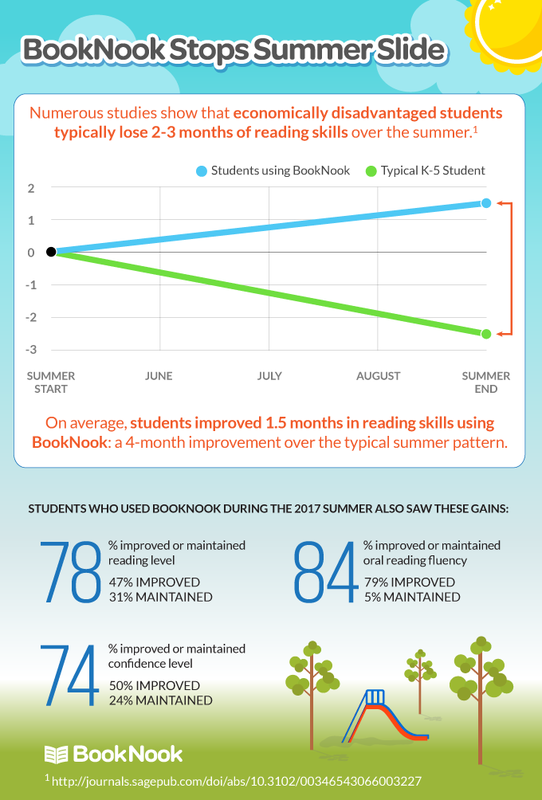 While comparable students give up 2-3 months in reading skills on average, BookNook students gained 1.5 months. 84% of students also maintained or improved their oral reading fluency and 74% maintained or improved their confidence as readers. Along with our partners we’re very encouraged by these results and are delighted to see students returning to school in the fall as stronger readers than they were in the spring. There is a lot of research showing that Summer Learning Loss can be overcome with intentional strategies and rigorous programs and we’re excited to have demonstrated that there is a new approach that is both quick to implement, low cost, and effective for students. Encouraging results. Did you happen to have a control group that you measured with the same tools?